Supporting this growing population is a concern of many, and this book will help you find ways to be creative and take the initiative to build a better service model for these customers. Pauline Rothstein has a Ph.D. from Fordham University,and an M.L.S. from Pratt. She has had a long career as a practicing librarian in special and academic libraries, specifically as Dean of the Library for Ramapo College and librarian for the Russell Sage Foundation where she created a library. In her activities in the Special Libraries Association (SLA) and International Federation of Library Associations (IFLA) as well as local library associations she is known for her innovative ideas. Currently she is Program Administrator for the LIU/NYU Dual Degree Masters program at New York University, funded by an IMLS grant she helped prepare. She has taught at Rutgers University's library school, the School of Engineering at City College and at Baruch College. A long time adjunct faculty member for LIU's Palmer School, the Institute she developed on lifelong learning for older adults was the catalyst for the current volume. 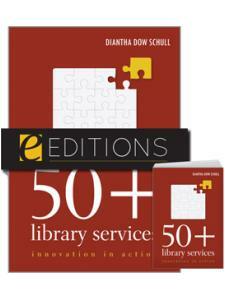 Diantha Dow Schull is an advisor to libraries, museums, and foundations on organizational and program development. She was formerly president of Libraries for the Future and the Americans for Libraries Council. Earlier, she was executive director of the French-American Foundation, director of exhibitions and education at the New York Public Library, director of interpretive programs at the Library of Congress, and assistant director of the Museum Aid Program of the New York State Council on the Arts. Schull serves on the board of the Connecticut Humanities Council. She is the author of numerous articles on cultural institutions and was coeditor, with Pauline Rothstein, of Boomers and Beyond: Reconsidering the Role of Libraries. 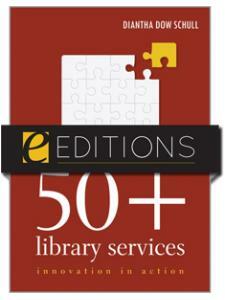 "With contributions from librarians, gerontologists, psychologists, anthropologists, sociologists, and others who work with life-span education and services for older Americans, this collection of new pieces is sure to stimulate new thinking and inspire more informed approaches to serving older adults. Plenty of practical suggestions are included along with the theory." "Useful for library school students learning about different approaches to varying patron populations as well as public libraries serving large populations of older adults." "This volume is essential reading for any librarians currently engaged with the baby boomer population on a regular basis. 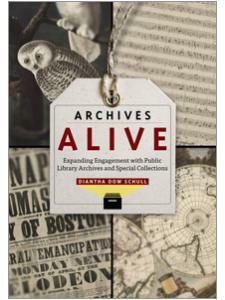 Their numbers and information needs will only grow and expand exponentially in the next few years, and it is essential that libraries serving the public anticipate and plan for this increasingly vocal and politically active population." 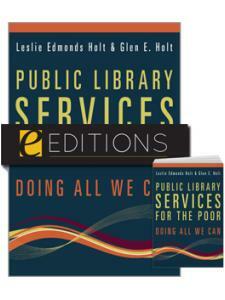 "Concise, informative, and practical ... this book will educate public library administrators about one of the largest demographic groups in the 21st century, and offer them ideas for serving this cohort well. 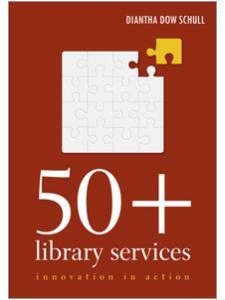 Boomers and Beyond is a resource that should be included in librarians' professional collections. "